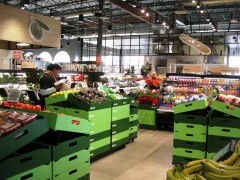 I finally had a chance to visit the new bfresh Euro-style grocery store from Ahold. This two store chain (second store in Boston Metro, a third store on the way) is a great concept store for urban, on the go, shoppers. 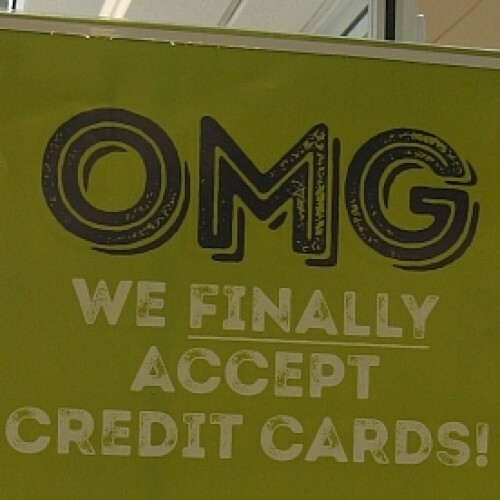 Mix at this store is upscale hipster, but with enough choices that anyone could be happy. It is run separately from other Ahold divisions in the USA and reports directly into the Ahold USA CEO. Store is about 50% Fresh (produce, flowers, meat and seafood) and Prepared Foods (pre-prepared, prepared on the spot for you, deli, bakery, and sushi). 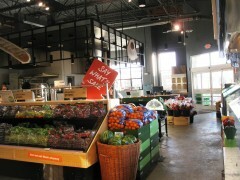 Balance of the store is a dense dry and temperature controlled shop and check out with a small counter for eating in. There is a lot of food prepared on site for a small store. Checkout is 4 self-checkout and 8 manned. There are a lot of staff around either stocking or serving customers. Peak times at lunch and dinner are reported to have very high traffic. High SKU count in small store means limited stocking, dry grocery section has stacks of cartons above the gondolas for added stock. 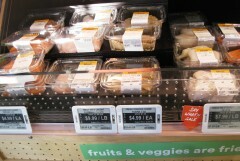 With a high perishables risk, every item in the store has digital shelf tags (end caps too) so shrink can be guided with sharper prices as needed with our shouting clearance or aged produce to get it to sell. No private brands yet which you would expect from a European Style Urban Store, store manager indicates that is on the way under its own label (not sharing labels with other Ahold USA divisions) and in fact the only private brand found in the store was some C&S Wholesale’s premium label “Best Yet” in the paper section.